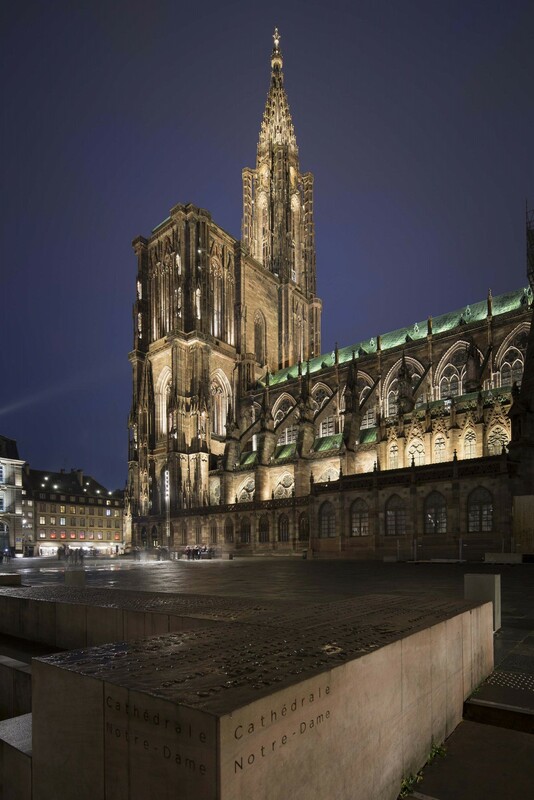 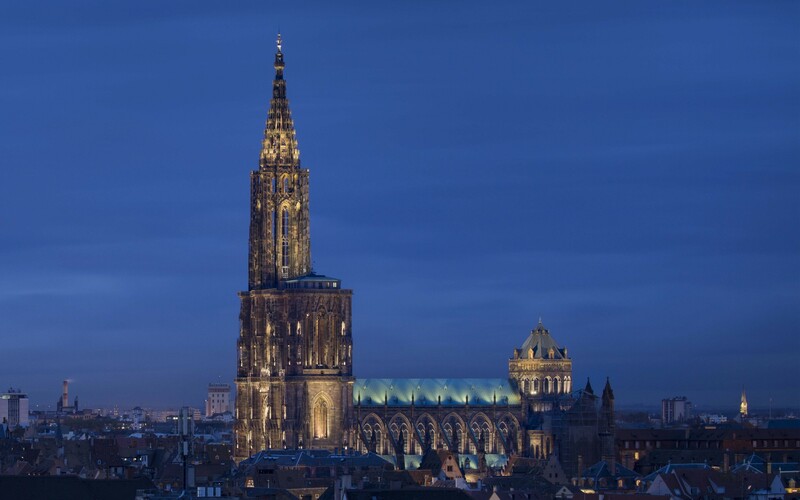 The project - part of a unified lighting plan for the city - uses approximately 400 luminaires from Lumenpulse to reveal the cathedral's splendour: the distinctive colours of its sandstone, its intricate masonry and layers, and its incredible height. 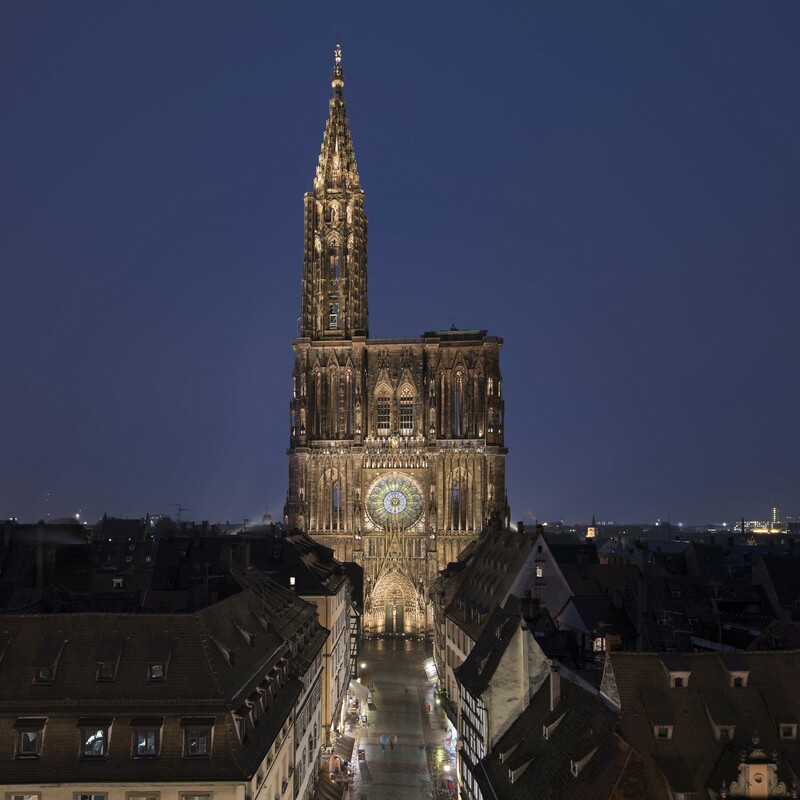 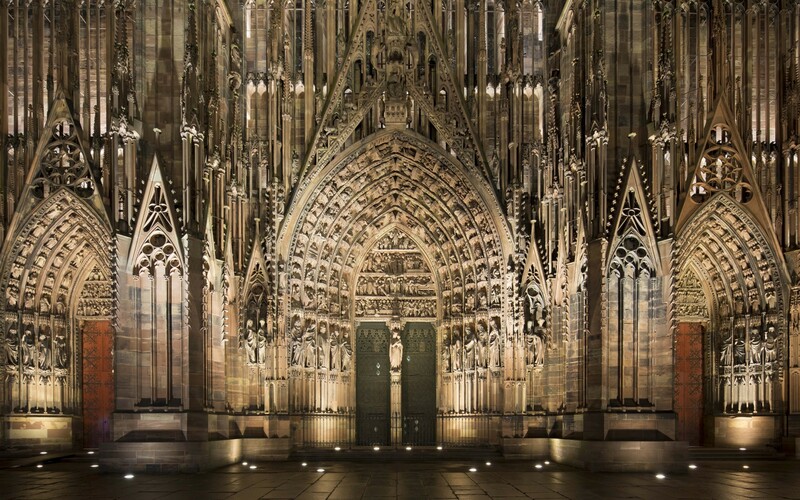 The appearance of one of Europe's most important cathedrals has been transformed with an extraordinary new lighting design using 400 luminaires from Lumenpulse. 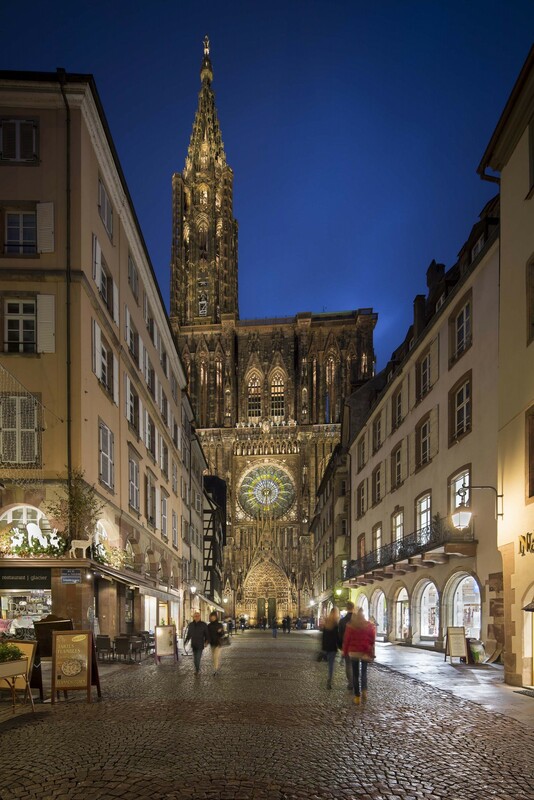 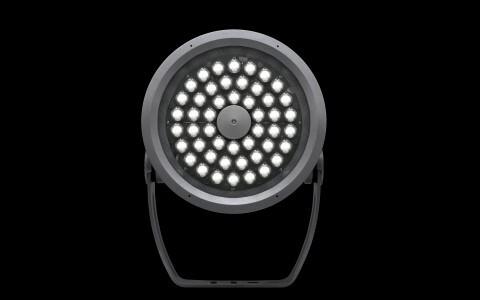 The new lighting was created by design practice L'Acte Lumière, who worked closely with electrical contractors Citeos, engineers Lollier and conservation architects JCBA. 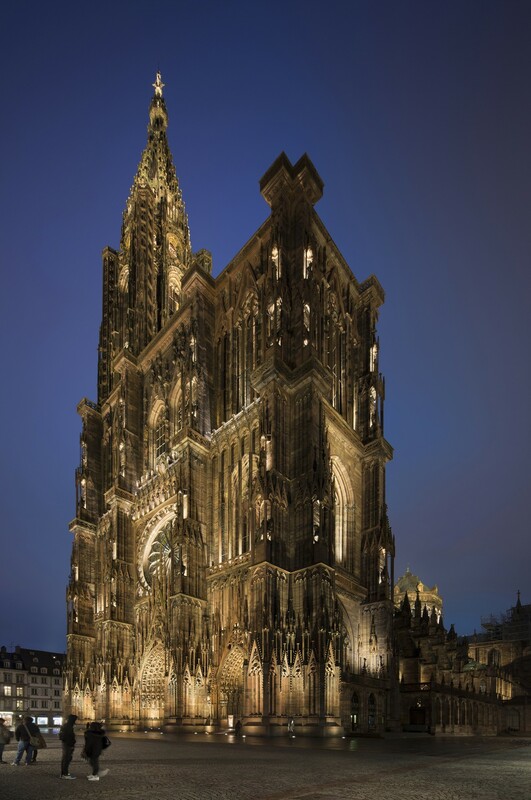 The design is intended to bring out the splendor of the gothic architecture: the distinctive colors of the sandstone, its intricate stonework and incredible height. 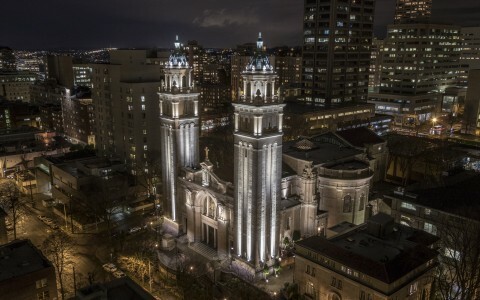 An important feature of the lighting is enabled through Lumenpulse's Dynamic White technology - the ability to fine-tune the color temperature of each luminaire to precisely match the colors of the stonework. 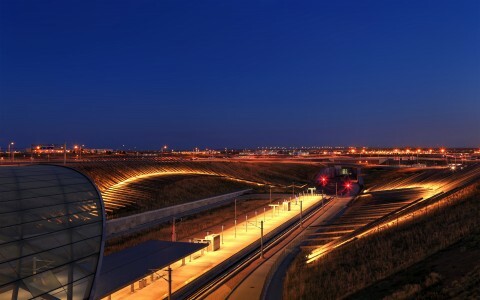 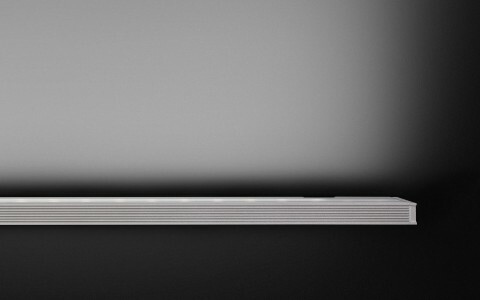 The luminaires turn on gradually at twilight, highlighting each successive layer of the architecture with light that grows progressively warmer towards the center. 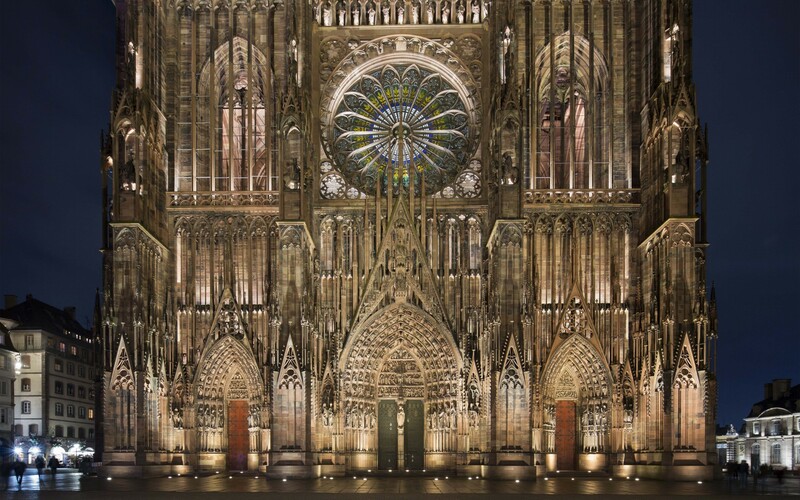 After 10 p.m. the lighting changes to give a more unified view of the whole edifice at its full height. 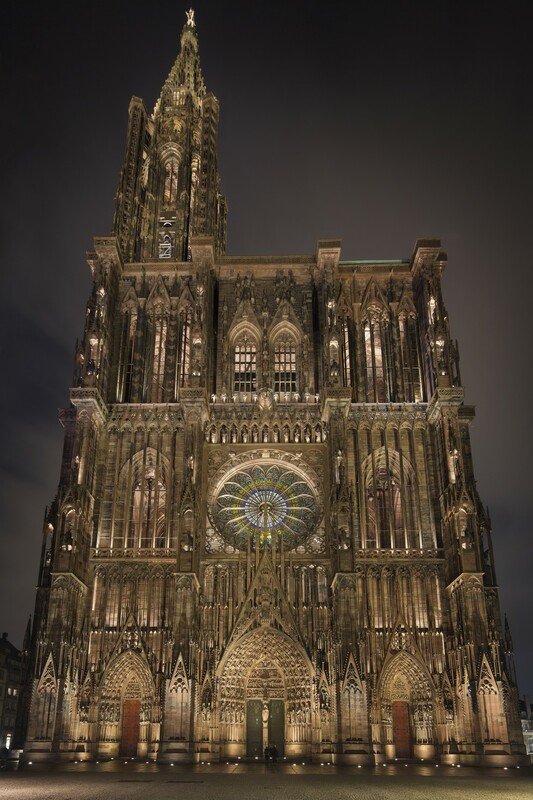 After 1 a.m. only the top part of the cathedral is lit, minimizing light pollution to nearby buildings. 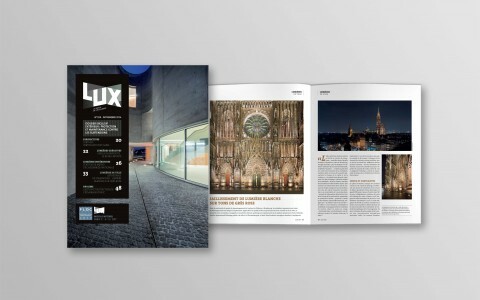 The project was developed using approximately 400 smaller Lumenbeam and Lumenfacade luminaires carefully concealed from view within the structure. 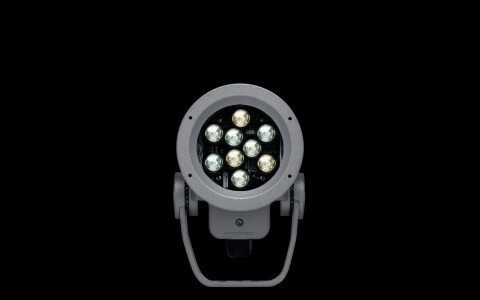 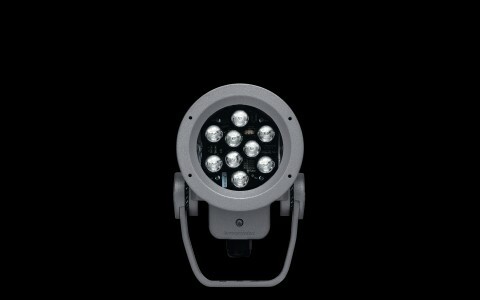 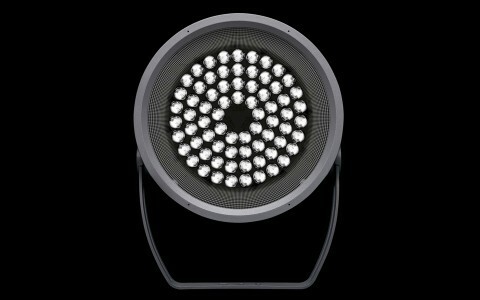 Many of the luminaires were also custom painted so as to be less conspicuous. 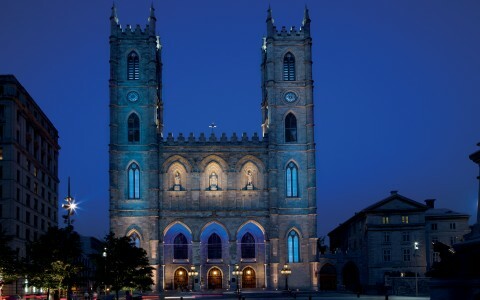 Thirty Lumenbeam XLarge projectors were also used to floodlight the building from selected vantage points around the cathedral. 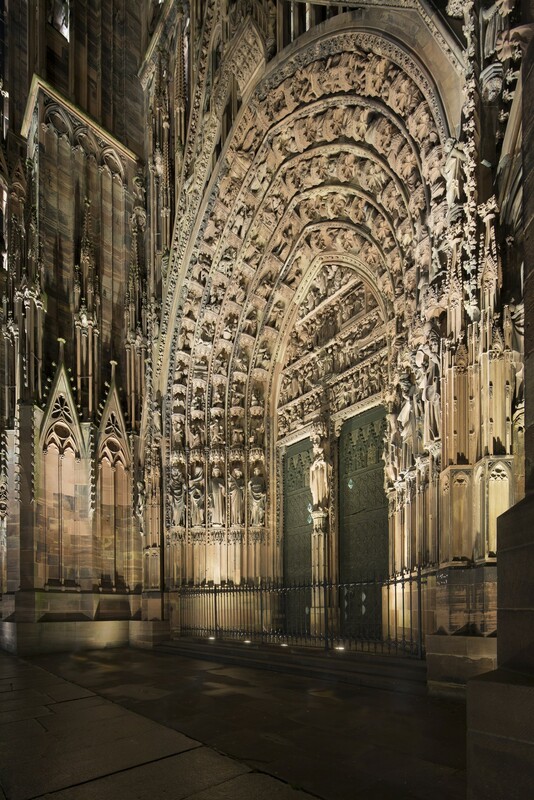 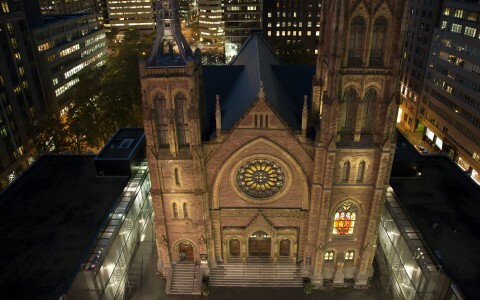 The design had to balance numerous requirements taking into consideration the cathedral's role as a place of worship and cultural landmark, alongside other challenges such as conservation, energy efficiency and maintenance.